The Tone Secret (TS) is the answer to the love/hate relationship countless guitarists have with a particular screaming green overdrive pedal that originated in late 1970s Japan. The Tone Secret recreates the sonic DNA of the most iconic users of the green screamer heard on countless studio recordings and live performances without the need for a cranked mid-scooped amplifier to run the pedal into. The TS only utilizes 50% of the gain found in a traditional green OD pedal; however, the added pre-overdrive and post overdrive controls allow you to tweak the OD characteristics to match any amplifier and simulate amp break-up without dime-ing the DRIVE knob on your pedal. Additionally, weve added individual controls for treble and mid-range frequencies, along with our GRIT control to dial in the ratio of your amps natural break-up in tandem with the overdrive produced by the Tone Secret. 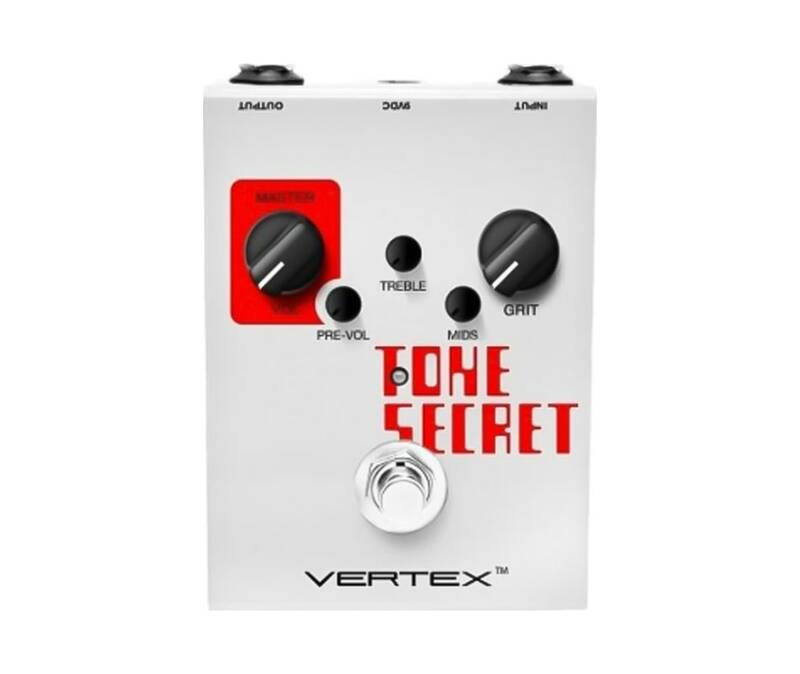 If youre looking for a screaming OD pedal that nails the classic and contemporary sounds heard on your favorite records, look no further than the Tone Secret.